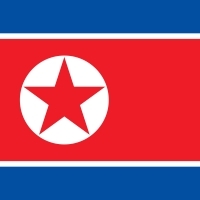 The Democratic People's Republic of Korea, also known as North Korea, is a country in Eastern Asia. Its capital is Pyongyang. It is currently ruled by the dictator Kim Jong-Un, after inheriting the title from his father, Kim Jong-Il, who in turn inherited it from his father, Kim Il-Sung. North Korea's population as of February 18th, 2017 is 25,360,273. North Korea is the third most corrupt country in the world, according to the CPI (Corruption Perceptions Index). It is also ranked 150th out of 163 nations in the Institution for Economics & Peace's Global Peace Index, making it one of the most dangerous countries in the world. North Korea is said by many international organizations to have severe violations of human rights, citing their strict laws, prison camps (of which 40% of prisoners die from malnutrition), and having public executions and forced admittance of guilt for false crimes. North Korea is also know for its nuclear weapons, which have been tested at least 6 times since 2006.